My Joy Is MIA! What Now? I was a first born, rule following, kid. IF by chance I didn’t follow a rule my conscience talked to me so loudly that I would run to my mama with tears in my eyes and spit out a blubbering confession (ex: the time I shaved my legs on a dare at a slumber party in the 5th grade.) AND I didn’t just rat on myself I would rat on ANY kid who might have possibly broken a rule. Yep, I was your super classic good girl. I can remember getting invited to a “cool kid” party in the 7th grade and when they started playing spin the bottle, which I knew was against every rule in the books, I went and hid in the bathroom cabinets. Yep, like down under the sink with towels and whatever else people throw under there. I would do just about anything to make certain I was an obedient child of God. So imagine my surprise when I found myself in my mid twenties working for THE church of my dreams, in MY dream job, and ALL I could think about was being a wild rule breaker! This church was filled with soooooooooo many rules that even this very fine specimen of a rule follower couldn’t keep up. I found myself in a situation where I felt like everything about me and who God had designed me to be was being looked at as wrong and not enough. And unless I was willing to conform into the person that they literally wrote up on paper for me to be I was in big, big trouble. Here is my visual: In my mind I was this amazing grilled cheese sandwich on rosemary sourdough made with three kinds of fancy cheeses and they were sending me back to the kitchen and asking for bologna on white Wonder Bread. BLECK!!! Needless to say ALL of the joy was being sucked out of me during this time. It was as if they hooked me up to a Dry-Vac that was continuously on. When your joy has been zapped by circumstances or perhaps simply by trying to follow what feels like the rules of religion it can be easy to wonder if joy will ever find a way back to you. 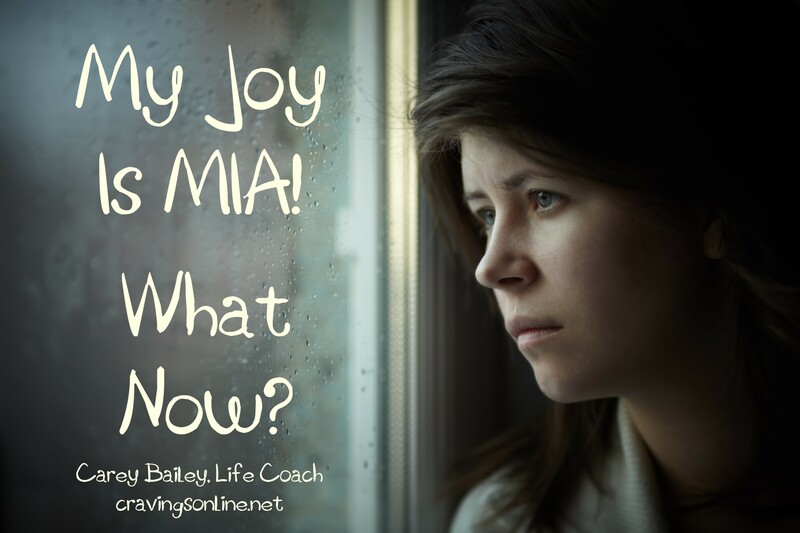 So…what do we do when our joy is MIA? Recall a time when there was joy. When was the last time you felt joy in your life? What was happening? What were the experiences surrounding you? During my “void of joy vortex” I drew upon childhood joys. Bubbles and art. I made myself a joy box that had bubbles, a sketch pad, colored pencils, and pastels in it. I made sure to sit down with my joy box a little bit each day so I could help my brain mentally recall on different times and give myself a better frame of mind to tackle my day that I knew was going to be ugly. 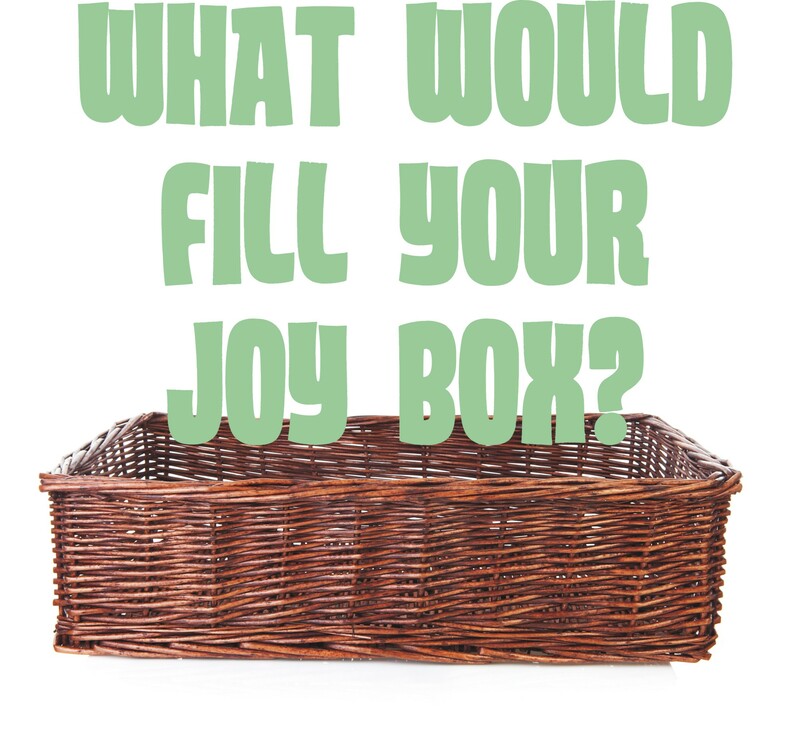 What would your joy box look like? What would help you call upon joyful times? Remember when you knew how to ride a bike (with training wheels) perfectly well? And then someone came along and stripped you of your training wheels and wanted you learn how to ride a bike all over again. You had to practice. You had to relearn something you already knew how to do. The same can be true for joy. We can be cruising along with a joyful heart and then bam we get some bad news, we get a surprise, we get too busy and we find our joy tank on empty. It becomes time to practice…to re-learn how to have joy. Pray for joy to return safely. Where is it on your prayer requests? God wants us to ask, seek, and knock. He wants to hear you share your thoughts in the same way you do with a girlfriend on a Girls Night Out. Through prayer God can encourage you, nudge you, bring a passage of scripture to your heart, bring a person into your life, or bring a song on the radio. With God anything is possible. If your joy has gone MIA then ask Him daily for joys safe return back into your mind and heart. What do you want to ask of God today? Memorize the truth about joy. I feel like I sound like a broken record on this but the truth is that joy is not about circumstance. Awesome circumstances create happiness, excitement, elation, gladness, cheerfulness, bliss, delight, or glee. Joy is a fruit of the Holy Spirit living in you. It is part of the harvest when you live in sync with the Holy Spirit. Joy is about a choice to say despite my circumstances I choose joy in my mind, my heart, and my attitude because I know what matters most. I know that a relationship with Jesus Christ as my savior matters more than the burdens I face right now. When we find ourselves trapped and thinking that joy is a feeling we need to use the truth to set us free. For each of us that looks different. I can’t know what truth is going to speak to your heart. That is for you to decide. 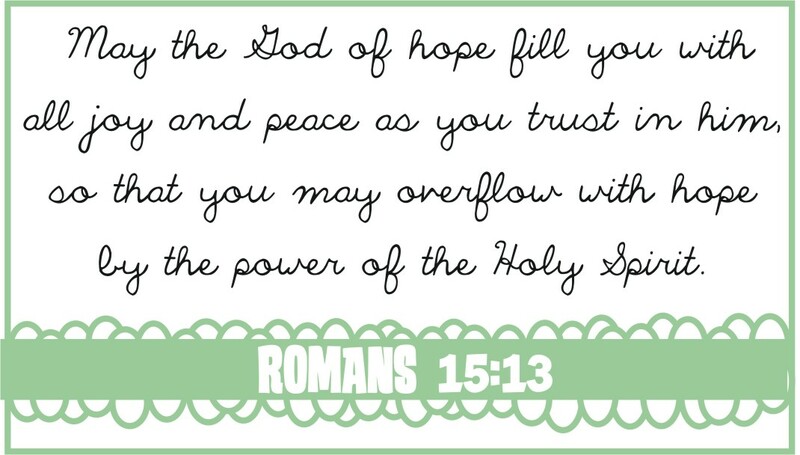 For the last 10 plus years I have used Romans 15:13 to bring me back to center. Over the last three years we have been through 3 job layoffs for my husband and 3 battles with cancer for my parents. There were several days in there that I had to CHOOSE JOY! That doesn’t mean I don’t feel sadness but it does mean I choose to NOT dwell in places like worry or anxiety. The reality is that joy, peace, and hope don’t mix and mingle well with those things. What scripture do you choose to remind you of the truth about joy? So what happened in my alternative joy sucking universe that I experienced? I eventually got brave, took a hike, and found a church that accepted me just as I was. Over time and with some intentional practice joy came home.